Thanks to Netflix, I’ve been introducing my children to the classics. Nope – not talking about Oliver Twist or Charlotte’s Web (although not knocking those either). 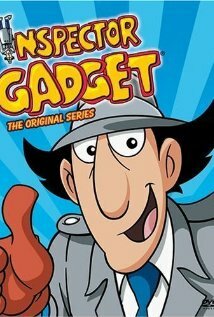 I mean all of the kid’s cartoons that I watched back in the day. We’ve already gone through several iterations of Spider-Man. Interestingly enough, our favorite right now is the series from 1966. The 80s Super Friends is a misogynistic mess (yep – worse than the 60s version) and the one from the 90s was a bit too dark for the little guy. We’ve also checked out some of the old Superman reels from the 40’s – the ones that used to play before the feature film. They are short, kind of fun, but the later ones are all WW2 propaganda, so if your kids are too young to understand the complex dynamics of a world at war and using horrific stereotypes to drum up homeland support, you might want to skip those for now. They also enjoy the Pink Panther (it has a reboot, but the original is better), and of course the old Looney Toons. Still don’t believe me? 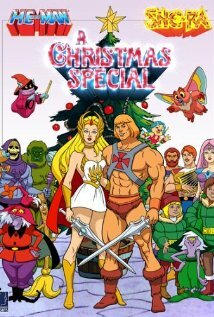 I get it; a friend of mine was a little insulted that I called these hallowed toons from her childhood “cheesey.” Perhaps you forgot the He-Man and She-Ra Christmas special? Yes, Virginia, it really exists. I think I blocked out the memory myself. The kids couldn’t even watch that one more than once. It’s not all old favorites, though. The kids have introduced their parents to a new show that the whole family loves to watch: Phineas and Ferb. I am addicted to this show. It follows brothers Phineas and Ferb as they go on spectacular adventures or bend the rules of physics along with Fireside Girl extraordinaire Isabella, resident nerd Baljeet, and bully Buford while their teen sister Candace tries to bust them, and their pet platypus who doubles as Agent P tries to foil the latest insane scheme by the evil Dr. Doofenshmirtz. And the crazy thing is, it all works. It’s funny, topical, has enough to interest kids and adults, and it even has musical numbers. Ha! I didn't know these were on Netflix. I shall have to check that out. Were I ever to have teh childrens, they wouldbe forced to watch every episode of Animaniacs. YES - they must watch Animaniacs too. What a great idea, and fun for you, too! Cartoon Network's Boomerang channel ("It's all coming back to you.") is a gift. 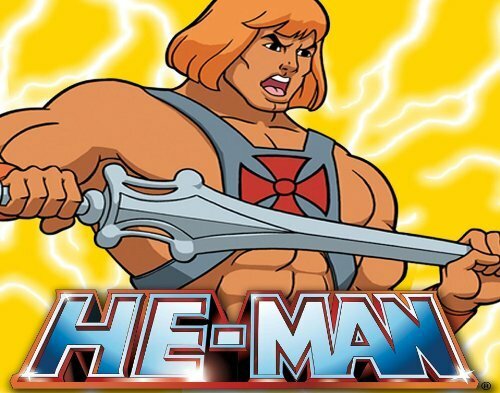 Some of it I'm happy about, like He Man or the Pink Panther or the Scooby Doo Movies. Others I'm less thrilled around, like how my kids watch a lot of Popeye. I loved Popeye as a kid but...gah. It's awful. They also really like Quickdraw McGraw. El Kabong is their favorite. And it encourages them to smack each other with guitars! What parent wouldn't want that? !